This is your News Page, a chance for you to share anything at all, Events, Birthdays, Your Event Photo's or just to give someone special a mention or a thank you. 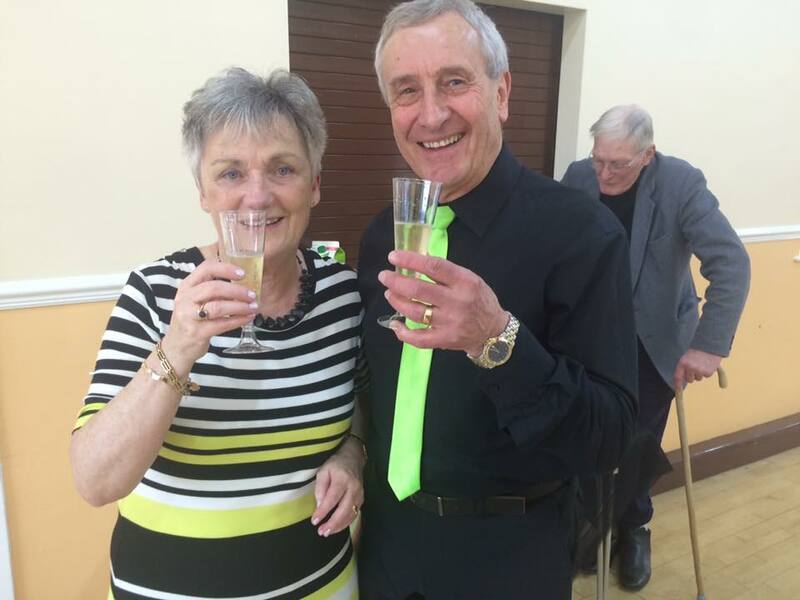 10 years ago this June, Terry & Jenny met at Norton Canes Community Centre at a Friday Night Dance hosted by Jenny, at this time an opportunity had arisen for a Saturday Evening Dance to be held at this venue and Jenny asked Terry if he would consider running it, after much consideration Terry agreed on the condition Jenny joined him, since saying yes they have gone on from strength to strength running what must be one of the most successful dance venues in Staffordshire & The West Midlands, Saturday night dances regularly average between 80 to a 120 people, a friendlier place you could not wish to visit with any newcomers always shown a seat and introduced. Saturday nights are mainly Sequence but there is always a little Ballroom & Latin in the dance schedule so everyone is happy. Norton Canes Community Centre boasts a fabulous yearly programme of live music, with Top Recording artist from the dance world playing there, such as Larry Green who travels from as far a field as Portsmouth, Richard Keeling, and numerous other top artists such as Eric Black, Carl Webb, Best Of Sound, Richard Tarver, Angie, Paul Hadley, Johnny Boonham, Tony Roberts and the list goes on. If you cant make a Saturday well there is always a Sunday Lunch & Dance that you could attend usually every second month. 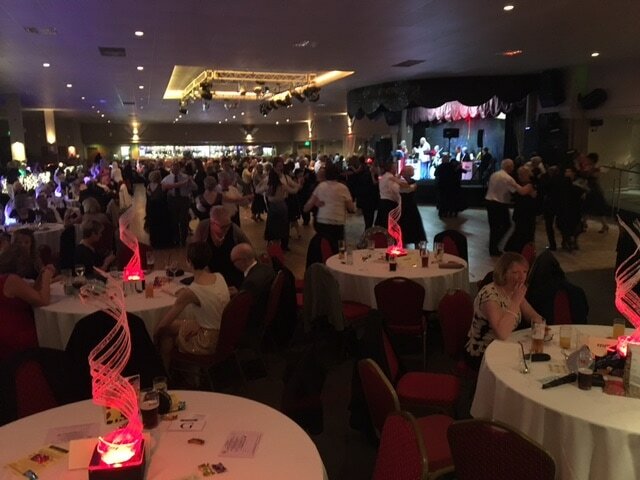 As well as the regular dances Jenny & Terry hold Charity Dances, where dancers have always been more than generous in supporting these functions and raising money for worthwhile organisations.
" This Year We Would Love You To Come Along & Celebrate With Us "
Celebrating A 10 Year Partnership Of Dance at Norton Canes Community Centre. 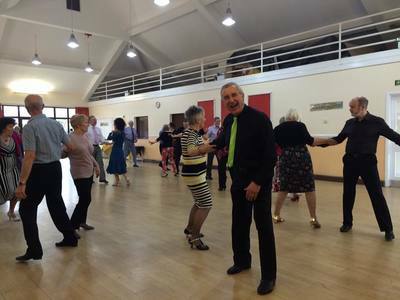 Free Afternoon Tea - Lovely Food - Dancing to Jenny's Music 1.30 pm - 5.00 pm Admission 4 pounds. Hosted by Peter and Pat. 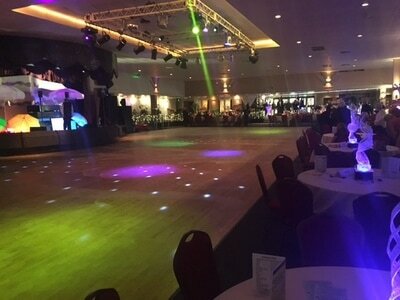 Saturday 1st April 2017, the venue The Tower Ballroom Birmingham, the event the Midland Ball with Ross Mitchell his band and singers.... O what a night, fabulous from start to finish, This is the second year this event has taken place at the Tower Ballroom hosted and organised by Peter and Pat, for those of you that know Peter or who may of attended any of his previous dances you will know everything has to be just right. Doors opened 7.45 and the reserved seating plan just inside the foyer clearly showed where everyone was seated, The room looked fabulous, the tables all clearly marked, spaciously laid out with crisp white tablecloths and beautifully decorated with illuminated table decorations, every table had a brilliant view of the stage and no one was more than just a few steps away from what must be the largest dance floor in the Midlands, the Tower has two large bars and was amply staffed to accommodate the number of dancers attending, there was also Tea, Coffee, Cakes, and hot food from the Diner, especially for those that had travelled from all over the country to attend this fabulous evening. 7.15 pm and the dancing began with Umbrella Man starting off the evening, at 8.00 pm what everyone had been waiting for as the revolving stage turned Ross Mitchell, his band and may I say beautiful singer entertained dancers for the rest of the evening with fabulous music for Waltz, Foxtrots, Rumbas, Tango's, Samba's and a range of popular Sequence Dances, no one was left disappointed, ending the night after the last waltz, the finale to the end of a fabulous evening.. Land Of Hope And Glory. Congratulations to Don & Sheila Senior who celebrated their golden wedding anniversary today with fellow dancers at Boley Park Tea Dance in Lichfield, Don & Sheila are pictured below with Heather Roberts who hosts the Friday dance. 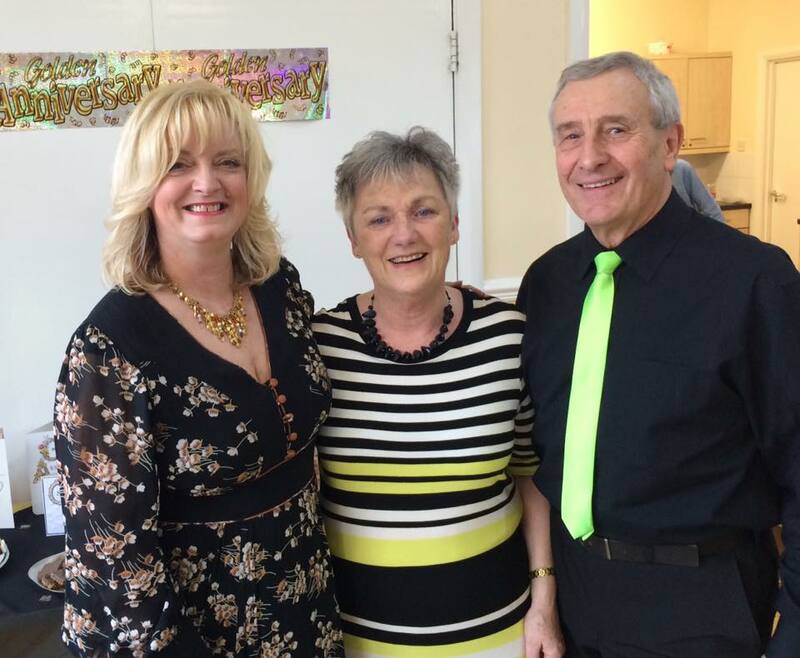 Don & Sheila started ballroom dancing three years ago under the instruction of Heather and attend Heather's classes on a Tuesday at the Aquarius Ballroom Hednesford. 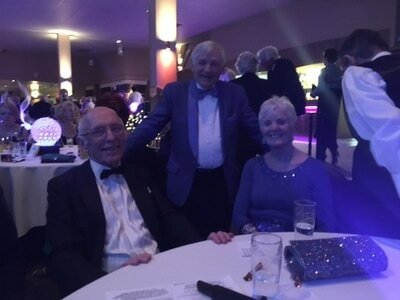 The annual guild dinner dance took place at the prestigious Motorcycle Museum in Birmingham on Saturday March 4th, tickets were priced at £37 each and included a three course meal, and guests were treated to four fabulous dance demonstrations by Mark & Olga Elsbury followed by dancing to the early hours with live music from David Smith, If you have never been to this event I can definitely recommend going, great value for money and a chance to dress up in your finest.